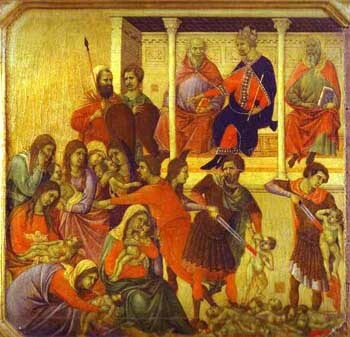 Holy Innocents is a unique day on the Christian calendar. Usually, on a feast day, we commemorate saints whose noble deeds have been passed down either through Holy Scripture or by tradition and history. On Holy Innocents, however, we observe an event which marked the brutal deaths of an untold number of infants and toddlers. The day which we refer to as Holy Innocents is more fully known as the Commemoration of the Slaughter of the Holy Innocents. Sometimes the word “slaughter” is replaced with the word “massacre.” In either case, these are hard and cruel words which we prefer to not have to speak of in church. We might manage to work them in a time or two during Lent and Good Friday, but we prefer to avoid them. We certainly do not like the idea of joining “slaughter” and “massacre” with innocent children but we are remiss if we neglect this dark hour in the life of Jesus Christ. We do not know how many children were murdered by Herod’s command. Some say that the children compose the 144,000 martyrs in the Book of the Revelation (14:3). Others argue that such a number of male children under the age of two was impossible for a town the size of Bethlehem even including its surrounding. The number, they argue, was realistically more along the lines of a few dozen. Yet how much difference does that make? A few months ago, an Orlando jury acquitted Casey Anthony in the murder of her two-year old daughter Caylee. There was outrage throughout the nation, rightfully so. The guilt or innocence of the child’s mother was practically beside the point. The outrage was over the fact that a beautiful young girl had been murdered and her murderer, whoever that may be, would not see justice (at least not in this world). Caylee Anthony, as beautiful and innocent as she was, was only one girl. Dozens of equally beautiful and innocent young boys were murdered in Bethlehem. As such, Herod the Great has come down through time as one of the single-most despicable beasts in the whole canon of Holy Scripture. The Holy Innocents whom Herod murdered have come down through time as martyrs. That, however, is a bit odd. The word martyr typically suggests someone who dies for their faith. A Christian police officer who dies in the line of duty, hero though he may be, normally would not be considered a martyr unless he were killed because of his Christianity. Likewise, a woman murdered in an incident of domestic violence would not be considered a martyr, so why are these unnamed and unnumbered murdered children considered martyrs? St. Augustine declared that these children were indeed martyrs because “they are the first buds of the Church killed by the frost of persecution; they died not only for Christ, but in his stead.” Lovely though this quote may be, it still leaves a question unanswered. The origin of the word martyr is the word witness. As we all know, a witness is someone who gives testimony. Typically, a martyr testifies by their life and death to the glory of God. To what, then, did these unnamed and unnumbered murdered children testify? Both before the Exodus and at the beginning of the Incarnation, the enemy used a tyrannical king in attempt to stop a mighty move of God. We have already seen the passage that applies to the Holy Innocents. A parallel passage can be found in Exodus 1:15-22 where Pharaoh, in an attempt to prevent a Hebrew uprising, first ordered the midwives to kill any sons born to the Hebrews and then, failing that, ordered the Hebrew sons to be cast into the Nile. In each case, the enemy failed. The Hebrews did rise up under Moses, whom Pharaoh had failed to kill. Not only did the Hebrews leave Egypt but the Egyptians suffered the Ten Plagues culminating in the death of their own firstborn sons. With Herod the Great, the tyrant was so desperate to maintain his own power that he actually executed three of his own sons for high treason. The Emperor Augustus was quoted as saying that it was safer to be Herod’s pig than his son. At least, he continued, the Jews do not kill pigs. Nevertheless, Herod’s reign came to a pathetic end and Jesus, whom he failed to murder, has become the King of Kings and the Lord of Lords and His Kingdom shall never end. The tyrants failed. So what of today? Since January 22, 1973, an estimated 50 million children have been murdered in utero by legalized abortion in America. This number far exceeds the millions slaughtered by Hitler or Stalin, in Rwanda, Yugoslavia, or Darfur. Comparatively, the death tolls of Herod and Pharaoh combined hardly add up to the number of children killed by abortion in any major city each week. By some estimates and entire third of the generation that was to be born over the last thirty years never drew their first breath. Maybe that third contained medical doctors who could have cured some form of cancer. Maybe that third contained a lawyer who could have put Caylee Anthony’s murderer in jail. Maybe that third contained politicians and judges who would have undone the horror of Roe v. Wade. Pharaoh, Herod, Hitler and Stalin were tyrannical dictators who tolerated no opposition. Standing up against them meant that your life was practically forfeit. We do not live under such regimes. It is we the people who make the laws by which our leaders govern and it is we the people who elect our leaders. We know what history says of Pharaoh, Herod, Hitler and Stalin. What will it say of us if we do not bring to an end the American Holocaust that is abortion in America? What mighty move of God is right at our very threshold as the enemy massacres countless thousands every day? When I was a child, I remember watching the children’s television show Sesame Street. That show used to have a segment where they would put up four images and sing a song “One of these things is not like the others!” I can very easily see some clever Sunday school teacher working this segment in with the four Evangelists. Three of the Evangelists are really quite similar; then there is St. John. St. John is not like the others. St. John is a unique witness to both the life of Christ and the earliest Church. St. John along with his brother St. James, the sons of Zebedee who were also known as the Sons of Thunder, were among Our Lord’s first Apostles being called immediately after Saints Andrew and Peter. St. John, along with Saints James and Peter, made up a unique inner circle among the Apostles. The three men in that inner circle were the only witnesses to the healing of St. Peter’s mother-in-law (St. Mark 1:29), the Great Catch of Fish (St. Luke 5:10), the raising of the daughter of Jairus (St. Mark 5:37 and St. Luke 8:51), the Transfiguration (St. Matthew 17:1; St. Mark 9:2; and St. Luke 9:28), and the Agony in the Garden of Gethsemane (St. Matthew 26:37; St. Mark 14:33). What is even more intriguing is that, in spite of being on of only three witnesses at all of those events, St. John chose not to recount those events in his own account of the Life of Christ. In addition to being part of Jesus’ “Inner Circle,” St. John was the disciple “whom Jesus loved” (St. John 13:23) and the “other disciple” who followed St. Peter into the courtyard of the High Priest once Jesus had been captured (St. John 18:15). 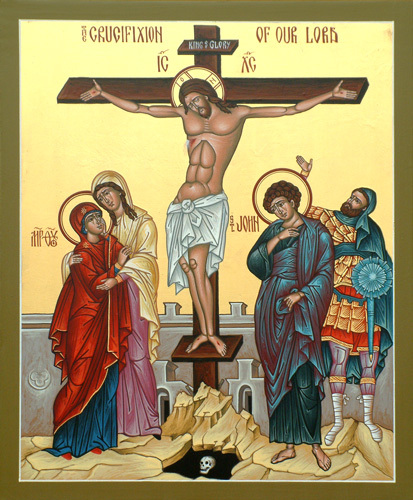 Finally, unique among all of the disciples, St. John was the only Apostle present at the foot of the cross during the crucifixion, and it was to St. John that Our Lord entrusted His Blessed Mother (St. John 19:25-27). His presence at these events give him the most unique and insightful perspective on the life, death, and resurrection of Our Lord Jesus Christ. What the other Evangelists present regarding the crucifixion, they learned from St. John. Biblical scholars will often group the first three Evangelists together and refer to them as the “Synoptic Gospels” (Greek for “with the same eyes”) since their account of the life of Christ is so similar. Everyone acknowledges that St. John has a different view of Jesus. That is not to say that any of the Evangelists portrays a wrong or inaccurate account of the life of Christ; St. John simply saw things differently. He did not have the perspective of the redeemed tax-collector, or the restored boy, or even the physician. 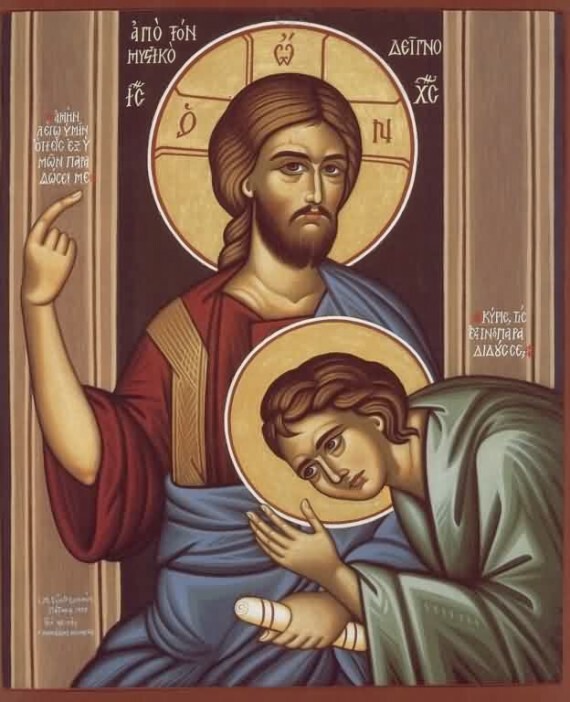 His was the perspective of the Apostle whom Jesus loved, to whom Jesus entrusted His Blessed Mother, and who was there when He breathed His last breath. It was St. John who, in Our Lord’s teachings, heard Jesus invoke the Divine Name and identify Himself as the LORD. It was St. John who recorded Nicodemus’ late night visit to Jesus and Our Lord’s special teaching that night. One commentator noted that St. John did not include the Transfiguration in his Gospel because St. John always saw Jesus with the Glory of God upon Him. His perspective was indeed unique. His life after the Resurrection was also unique. 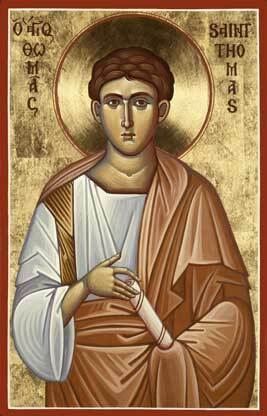 His brother, St. James the Apostle, died at the hands of Herod Agrippa. That led to a great dispersion and many of the Apostles ended up traveling abroad to spread the Gospel. Tradition tells us that, one by one, each of the Apostles was martyred for the faith in Christ Jesus they professed. Each one, that is, except St. John. St. John migrated north, likely passing through Antioch, before settling in Ephesus in Asia Minor. There he ran afoul of the local authorities and they decided to kill him by immersing him in a cauldron of boiling oil. Miraculously, he survived and the authorities exiled him to the island of Patmos. It was during his exile on Patmos that he received his beatific vision of Heaven which we have recorded at the Book of the Revelation. After some time, St. John was freed from exile and returned to Ephesus. 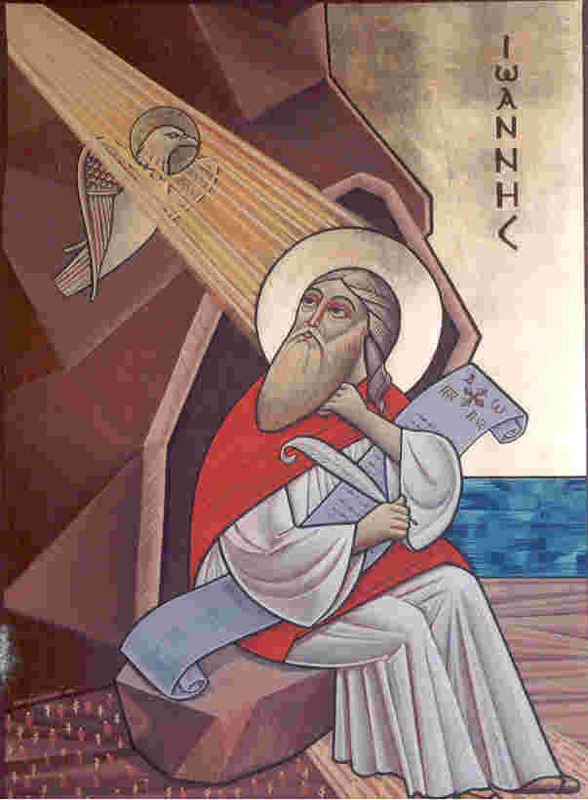 Near his death, St. John composed his Epistles which were sent to the various churches in Asia Minor. In these Epistles, St. John refers to himself as “the Elder.” This makes sense considering this was likely around 96AD. If we assume that St. John as eighteen when Our Lord was crucified, the Beloved Apostle would have been born around 15AD and would have been eighty years old near the time of his death. He was quite likely the oldest man that anyone knew! Consider what the Beloved Apostle’s life must have included. Consider the events which he experienced. He was the only apostolic witness to the death of Jesus and one of the first witnesses to His resurrection. He was there at Pentecost, encountered the converted Paul of Tarsus, and saw his own brother slaughtered in the streets of Jerusalem. He cared for the Blessed Virgin Mary, attending to her as a son would until her Blessed Son called His Holy Mother to return to Him. He received word of the death of every one of his closest friends, one after the other, dying a martyr’s death in the scattered provinces of the Roman Empire and beyond. They tried to martyr St. John and instead exiled him to some desert island. There he had the single most incredible vision of Heaven and the future ever experienced by anyone living including Daniel. Having lived out his life well beyond what anyone could have expected, having trained up the next generation of Christian leaders in Asia Minor, he composed a Gospel, three epistles, and a revelation of Heaven. Then, completely unique among the Apostles, he died peacefully and went on to again see the face of the Lord who loved him and whom he loved in return. St. John is one of my heroes. I would have loved to have been among Saints Polycarp and Ignatius, the Apostolic Father, leaders of the church one generation after the Apostles, who sat at the feet of St. John and heard him teach. I imagine walking with him and catching glimpses of him staring off vacantly and wondering if he were recalling the past or the future. May we, like St. John, have the grace to endure to a great and mighty age and accomplish great and mighty works in our latter years. Often at ordinations I hear bishops preach how ordinations are quite like weddings. Marriage and Ordination are both Holy Sacraments; both, more specifically, fall into the sub-category of Sacraments of Vocation. Married life and ordained ministry are states of life to which some are called and some are not. The most striking way in which marriage and ordained ministry are similar is that, when standing before that altar, you only think you know what you are getting into! Those who are married understand that, once you have said those “I do’s,” you learn an entirely new world existed. You probably didn’t know how frustrating having a spouse who refuses to the cap on the toothpaste tube can really be or that some people really do leave the seat up after they use the bathroom. Maybe it is that you did not realize what it would be like to raise a child, or to suddenly find yourself as a parent to twins or triplets, or to have to deal with the struggles of not being able to have children. In any case, you thought you knew what to expect in marriage, you had a picture in your mind of what it would be like, and you were wrong. To say the least, your picture was incomplete. Those who have been ordained know that, once you have said those “I will’s,” you learn an entirely new world existed. Maybe you found yourself celebrating the funeral of a child far too young to die. Maybe you lost dear friends because they would not accept your ministry. Maybe, for the first time in years, you were actually shocked by what you heard in confession. Maybe you found yourself desperately trying to save someone’s marriage. Maybe you found out just how devastating a church split can be. In any case, you thought you knew what to expect in your ministry, you had a picture in your mind of what it would be like, and you were wrong. To say the least, your picture was incomplete. Yet, just because it was not the picture you had in your mind when made your wedding vows or the bishop did not mention it when you knelt before him does not mean that you are not living out your call. I have also heard it said that, “If I knew where God was going to take me when I started this, I never would have gone!” God shows us what he wants to; He gives us what we need. We almost never see “the big picture.” Just because it was not in our plan does not mean it was not in His. Saint Stephen is a brilliant example of this. 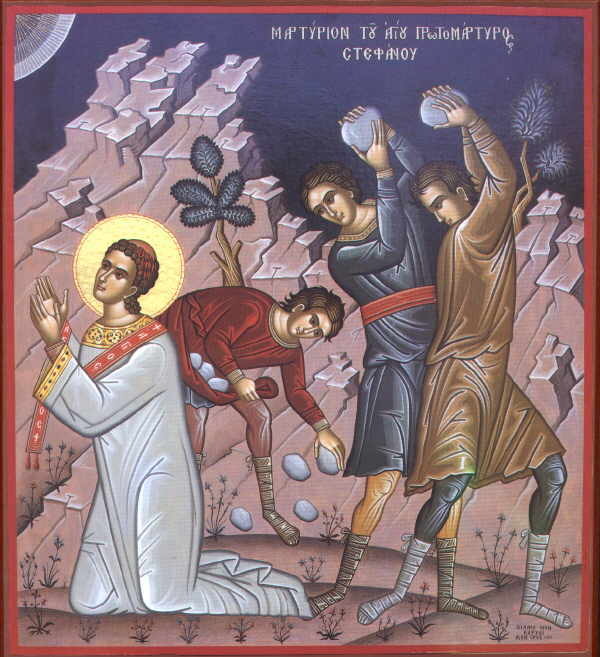 St. Stephen, along with six of his companions, were called to be the very first deacons. They were ordained to this position through the laying on of hands for the expressed purpose of tending to the distribution of alms for the Hellenist widows in the apostolic Christian community of Jerusalem. We are not told that their responsibilities upon ordination included any Eucharistic responsibilities or counseling or building fund management or any of the multitude of issues our deacons deal with today. They were called to administer the alms for the widows. The apostles did not say, “Stephen, Philip, the rest of you, are you willing to preach the Gospel and die for what you believe?” That was not part of the picture they had in their minds. Nevertheless, shortly after St. Stephen’s ordination, “Stephen, full of faith and power, did great wonders and signs among the people.” (Acts 6:8) The fact that he performed great signs and wonders signifies two things. It means that he was doing what God (though perhaps not the elders of Jerusalem) had called him to do for how could he work signs and wonders if he were going against the Lord. It also means that he was on a collision course with the leading Jew of the city because the same issues they had with Jesus, they now are going to have with Stephen. St. Stephen becomes a mirror reflection of Jesus, crying out to Heaven and beseeching “Father, forgive them, for they do not know what they do.” (St. Luke 23:34) Just as Our Lord called out to God saying “’Father, into Your hands I commit My spirit’” (St. Luke 23:46) before dying, St. Stephen says “Lord Jesus, receive my spirit” before going to meet his Maker face to face. These are not the actions of someone who has stepped outside of the will of God (if such a thing really even be possible). Stephen was walking in the path which the Lord had prepared for him. Though the elders of Jerusalem had called him to administer the daily distribution to the Hellenist widows, God had something else prepared for St. Stephen. That young man, whose name means “crown,” became the first Christian to wear the glorious crown of martyrdom. 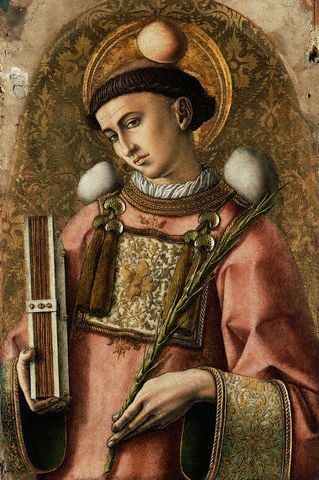 As such, St. Stephen is often referred to as “the Proto-Martyr.” What the Apostles could not have imagined when they ordained this young man, God had planned since the dawn of time. Just because it was not in St. Stephen’s mind when he knelt before Saints Peter, John, and James, does not mean that it was not in the mind of God when He hovered over the formless void that would become Creation. And just because it was not in your mind when you stood before altar of God at your wedding or ordination does not mean it has not been in the mind of God since long before you were born. May God grant us the grace to walk in the vocations to which He calls us, whether we expect them or not. 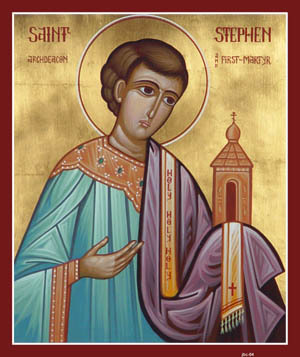 We give you thanks, O Lord of glory, for the example of the first martyr Stephen, who looked up to heaven and prayed for his persecutors to your Son Jesus Christ, who stands at your right hand: where he lives and reigns with you and the Holy Spirit, one God, in glory everlasting. Amen. Christmas is one of the two most joyous feasts in the whole Christian year. It comes to us without the painful reminders of the Passion and Crucifixion we receive as we wind our way through Lent and Holy Week. It comes to us with some of the most definitive and striking images in all of Christianity: the Blessed Virgin Mary and St. Joseph seeking shelter in Bethlehem, the newborn babe lying swaddled in a manger, angelic light shining down upon a humble manger, the three wise men bearing their gifts, and, of course, the shepherds receiving their own angelic annunciation. The shepherds went through the streets of Bethlehem and told everyone who would listen. They did not just tell a few friends; they made it “widely known.” Those who heard their message “marveled” at their story, which does not mean they necessarily believed the shepherds. In fact, they quite likely believed those men had spent one too many nights watching over the flocks by themselves. The shepherds did not concern themselves with what the locals in Bethlehem thought. Why should they? They had heard an Angel of the Lord proclaim the birth of the Messiah. The angel had given them a sign: you will see a newborn baby wrapped in rags and lying in a feeding trough in a horse stall next to an inn. Lo and behold, the angel was right! Not only had they seen the angel’s sign with their own two eyes, they had heard the choirs of Heaven burst into song and proclaim the reconciliation of God and man was at hand. It was not just one angel of the Lord who sang the heavenly anthem; it was “a multitude of the heavenly host praising God.” Who cares what some Bethlehem yokels thought? They had seen the newborn Messiah; they had heard the choirs of angels sing. But why them? 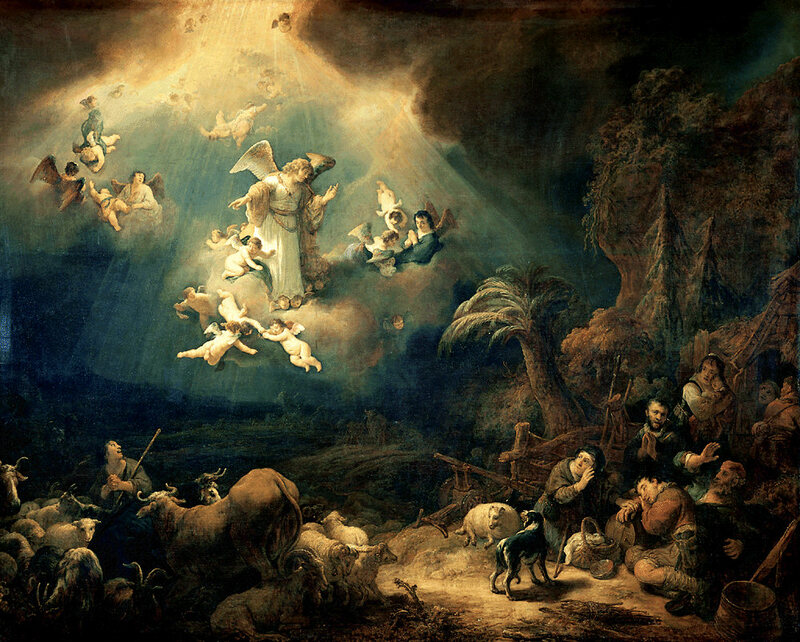 Of all of the people the angels could have picked to manifest their glory, why would they choose some poor shepherds working the third shift in the wilderness surrounding Bethlehem? Priests, scribes, rabbis, kings, diplomats, soldiers, they all could have received this message. Shepherds were, regrettably, not the most prestigious laborers in all Judea. Why them? It is altogether fitting that shepherds should be the first evangelists because the Messiah whom they proclaimed would define Himself in terms of their occupation. While not the most esteemed occupation in all of Israel and Judah, shepherds had a long Biblical history. Once he left Ur, Abram was a shepherd. Jacob had won both of his wives by laboring as a shepherd. Once Moses fled Egypt, he lived for years as a shepherd and was seeking out his own lost sheep when he first encountered the LORD. The prophet Samuel called David to be king of Israel while he was tending his father’s flocks. The Prophet Amos was himself a shepherd in the land of Tekoa. Beyond these instances, the prophets frequently used the image of shepherds to refer to the leaders of Israel and Judah, both religious and royal. The judges and King Saul were each called to “shepherd” the children of the Lord. The twenty-third chapter of the Prophet Jeremiah contains an oracle against the shepherds of Israel who destroy the sheep of the Lord and continues to condemn false prophets. Likewise, the thirty-fourth chapter of the Book of the Prophet Ezekiel is a condemnation against the wicked shepherds of Israel that ends in a proclamation that God Himself will ultimately be the true shepherd of Israel. And, of course, we know that Our Lord proclaimed the He was “the Good Shepherd.” (St. John 10:14) In fact, the majority of the tenth chapter of St. John’s Gospel is Jesus fulfilling the Ezekiel’s prophecy about the Lord being the true shepherd of Israel. The Good Shepherd was first proclaimed by a group of good shepherds. They were good shepherds, indeed. We can tell that because they were watching their flocks at night. They could have been sleeping or hiding out in some cabin drinking the cold of the night away, but they were not. They were dutifully fulfilling their rather thankless job. Alert and mindful of the dangers their flock faced, when they heard the angelic proclamation and anthem, they forsook everything to follow after the newborn Messiah and proclaim the Good News which they had heard. What a lesson this is for us who call ourselves pastors in these days. We must dutifully tend to our flock while being ever alert for the dangers which beset them. We must also be ready and willing to respond to the unexpected leading of the Holy Spirit and the angels of the Lord. We must never cease to proclaim the Good News that has changed our lives regardless of the opinions of those who have not yet received the same Good News. We must remember that there is a flock that looks to us as their shepherd. In us, as their shepherd, they see and form their opinions of and relationship with The Good Shepherd. We would all do well to review Jeremiah 23, Ezekiel 34, and St. John 10 when we reflect upon our ordinations. May we, like these good shepherds of the Bethlehem country-side, never cease to make the wonders of Jesus Christ widely known and may we, like these humble shepherds whose lives were forever changed, never stop glorifying and praising God for all the things that we have heard and seen. Saint Thomas gets a bad wrap. That’s all there is to it. Ask a dozen Christians what they remember about St. Thomas and ten of them will likely make a reference to the “Doubting Thomas” story. Was Thomas’ moment of doubt really any worse than Nathaniel’s or Zechariah’s or even Peter’s plummet into the water? No, but it’s Thomas who, rather than always being referred to as Saint Thomas, gets stuck with the moniker Doubting Thomas. It is unfortunate that the Synoptic Gospels mention St. Thomas so briefly. To Saints Matthew, Mark, and Luke, St. Thomas is just a name on a list of twelve apostles. It is in St. John’s Gospel where we see St. Thomas fleshed out. The first time we actually hear St. Thomas speak is in the eleventh chapter of St. John’s Gospel. Our Lord announces to His apostles that He is going to Bethany to raise Lazarus from the dead. One of the disciples points out that the last time they were in Bethany, the Jews tried to have Jesus stoned and asks about the wisdom of returning to a town so close to Jerusalem. Our Lord responded, “Nevertheless let us go to him.” (v. 15) Realizing that Jesus could not be deterred and certain of the danger they faced, St. Thomas addresses the disciples and says, “Let us also go, that we may die with Him.” (v. 16) These are not the words of someone who is doubting Jesus. This is not the call given by a man who is unsure of his convictions. St. Thomas was not doubting here. Before we discuss the infamous upper room encounter, history records that, after the Ascension of Our Lord, St. Thomas left Jerusalem and first headed north into Syria before beginning the long journey west into India. Tradition tells us that the Apostle headed to India in order that he might evangelize a group of Jews known as the Cochin or Malabar Jews, immigrants to India from the time of King Solomon. While in India, he established “seven and a half churches” before being martyred. Tradition continues to say that his remains were brought back to Syria where he was interred in Edessa. These activities are well-documented and St. Thomas is widely regarded as the founder of Christianity in India. This makes him the only apostle to have evangelized unbelievers beyond the borders of the Roman Empire. Again, St. Thomas was not doubting Our Lord when he went into India. Returning to that notorious incident in St. Thomas’ life, on the evening of the Resurrection, Jesus appeared to the Apostles in the upper room. St. Thomas, however, was not there. 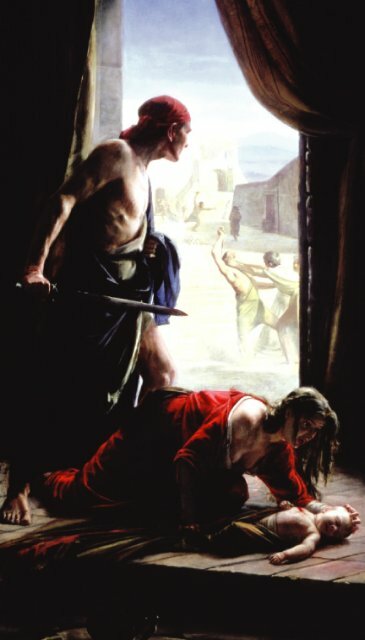 When he rejoined the apostolic company, his fellows informed him of what happened and he said those infamous words: “Unless I see in His hands the print of the nails, and put my finger into the print of the nails, and put my hand into His side, I will not believe.” (St. John 20:25) This is not an unreasonable response. It is perfectly understandable to face rumors of the resurrection of someone you have seen slaughtered three days prior with a certain amount of disbelief. Saints Peter and John did not accept what Mary Magdalene said at face value. They had to run to the tomb to check things out for themselves. (St. John 20:2-9) What makes St. Thomas so doubtful? Eight days later, when Our Lord finally appeared to St. Thomas, Jesus faces the apostles and invites him to “Reach your finger here, and look at My hands; and reach your hand here, and put it into My side. Do not be unbelieving, but believing.” (v. 27) Here is where Renaissance art betrays Christianity. Thousands of people have seen the legendary painting entitled “The Incredulity of Saint Thomas” by Caravaggio. 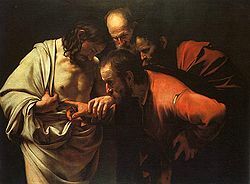 In the painting, St. Thomas pokes his finger into Our Lord’s side like a little boy poking a dead bug to see if there is any life left in it. This image has become the dominant image of the event. Thousands of sermons have included the words “When St. Thomas stuck his finger into Jesus’ side, he no longer doubted!” The irony is that it did not happen! The very next verse of Scripture states, “And Thomas answered and said to Him, ‘My Lord and my God!’” There is no poking and prodding. There is no examining with probe or scalpel. There is simply the single loftiest Christological and Theological statement thus far in the New Testament. When St. Thomas proclaims that Jesus is “my Lord and my God,” he surpassed St. Peter’s confession that Jesus was (and is) “the Christ, the Son of the Living God.” (St. Matthew 16:16) St. Thomas exceeds St. John the Baptist’s proclamation that Jesus was (and is) “The Lamb of God who takes away the sin of the world!” (St. John 1:29) St. Thomas even went beyond the confession of the centurion who, seeing Our Lord die on the Cross, proclaimed, “Truly this man was the Son of God!” (St. Mark 15:39) Each of those confessions admits that Jesus is the Messiah, the Anointed of God, and even the Son of God, but only St. Thomas goes beyond all of that and proclaims that Jesus Christ is God Himself. St. Thomas may not have been the first to receive the revelation that Jesus was actually fully God, but he was the first to proclaim it. Prefiguring a developed doctrine of the Holy Trinity by hundreds of years, St. Thomas announced that Jesus was not just the Son of God, the anointed Messiah; Jesus Christ is the Lord God Almighty come in flesh! That does not sound like doubt. He was hand-picked by Our Lord as one of His chosen Apostles. He was willing to go to Jerusalem with Jesus in spite of the danger and even to die with Him. He was the only Apostle who left the confines of the Roman Empire and he evangelized and established a church that remains to this day in the pagan land of India. He made the single most exalted proclamation of the nature of the identity and divinity of Christ in all of the Gospels. He made one smart-alec remark to his friends when they said something that was, frankly, unbelievable and he has been known for that one statement ever since. When I finally go to my eternal reward, may I leave behind a legacy of faith and not be remembered for the many times I said something stupid. It happens a lot. May the most doubtful thing I ever say not be attached to my reputation and define me for the rest of time! Almighty and everliving God, who strengthened your apostle Thomas with sure and certain faith in your Son’s resurrection: Grant us so perfectly and without doubt to believe in Jesus Christ, our Lord and our God, that our faith may never be found wanting in your sight; through him who lives and reigns with you and the Holy Spirit, one God, now and for ever. Amen. One privilege of the Convergence Movement is that we get to draw upon the very best features of the divergent Christian Traditions and take them as our own. That privilege can be quite perilous though. We run the great risk of picking and choosing doctrines and traditions which suit us rather than those which truly represent the Faith Catholic. We must not only appropriate those tenets of the faith which we believe to be true and reject those which we believe to have been in err, but we must also diligently investigate those various tenets of the faith which are controversial and seek the Lord’s discernment on how to handle those elements of the faith. One tradition which deserves careful and intense deliberation is the Immaculate Conception of the Blessed Virgin Mary. This doctrine is entirely distinct from the Virgin Birth, although the two are often confused. The doctrine of the Virgin Birth teaches that Jesus was conceived through the Holy Spirit without the participation of any man. The Immaculate Conception teaches that the Blessed Virgin Mary was conceived by normal means but, through a special act of grace, was conceived without Original Sin. Original Sin is both the first sin that Adam committed and the perpetual consequence for all humanity ever since. Different Christian traditions disagree on the way in which Original Sin affects humanity and how its consequences are passed on. On Church Father, Tertullian of Carthage said that Original Sin as well as other spiritual traits, both positive and negative, were passed on from parent to child in a way akin to passing on eye or skin color. According to that theory, a particular giftedness towards the prophetic or fasting would be passed from parent to child, as would a tendency towards sloth or lust. A logical conclusion stemming from this idea involves the proposition that the Blessed Virgin Mary’s spiritual traits, including Original Sin, would have been passed on to Jesus as well. This would open theoretical doors that would call into question the sinlessness of Jesus Christ, which is essential to redemption. In order to keep those doors closed, someone developed the idea of the Immaculate Conception. The doctrine itself may have begun originally in England and the earliest written reference we have to the Feast comes from the 10th century English writer Eadmer. After the Conquest in 1066, the Normans suppressed observance and the legitimacy of the Feast was hotly contested throughout the Middle Ages. The doctrine was defended primarily by Franciscans, especially St. John Duns Scotus. It is surprising for many to learn that the Dominicans, especially St. Thomas Aquinas, did not believe in the Immaculate Conception. He did, however, agree to accept what Holy Mother Church decided on the issue. Pope Sixtus IV made the observance a Universal Feast, but refused to define the doctrine as dogma and therefore granted Roman-Catholics the freedom to accept or refuse the teaching without fears of being labeled a heretic. In 1845, Pope Pius IX promulgated the Papal Bull Ineffabilis Deus. The document stated, “We declare, pronounce and define that the doctrine which holds that the Blessed Virgin Mary, at the first instant of her conception, by a singular privilege and grace of the Omnipotent God, in virtue of the merits of Jesus Christ, the Saviour of mankind, was preserved immaculate from all stain of original sin, has been revealed by God, and therefore should firmly and constantly be believed by all the faithful.” From that point on for Roman-Catholics, at least officially speaking, the matter was settled. Declaring a tenet of the faith a dogma means that, for all intents and purposes, if one does not believe the dogma, they are outside of the faith. 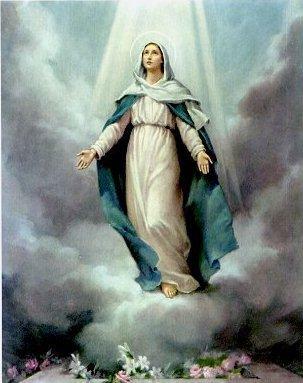 In order to be considered a faithful Roman-Catholic, you must believe in the Immaculate Conception. For Roman-Catholics there is no discussion on the matter. I, however, am obviously not a Roman-Catholic. Yet the Charismatic Episcopal Church cannot simply dismiss every teaching of the Magisterium with a gallant charge of “Popery” either. At one point, some of us now in the CEC might have called vestments and the Real Presence “mere popery” as well. I have said before that the Charismatic Episcopal Church is all about rescuing the babies of the Faith Catholic from the bath water thrown out during the Reformation. We, as Christians who profess to be part of the One Holy, Catholic, and Apostolic Church, must endeavor to find whether the Doctrine of the Immaculate Conception is a legitimate tenet of the Faith or an inappropriate addition to the faith (along the lines of Limbo or the sale of indulgences). There are principally three Scriptures used as proof of the Immaculate Conception. These are Genesis 3:15; Song of Solomon 4:7; and St. Luke 1:28. According to Roman-Catholic interpretation, the “enmity” between the woman and the Devil spoken of in that passage refers to the fact that the woman who would ultimately fulfill the prophecy, the Mother of God, would never be subject to sin and corruption and, thus, always at odds with the Devil. That certainly is one way of interpreting the passage, but it is far from a necessary interpretation. Likewise, Song of Songs 4:7 reads, “You are fair my love, and there is no spot in you.” The “spot” in that passage is macula in the underlying Latin. Being without stain or spot or blemish (of sin) would make one “Immaculate,” hence the name of the feast. However, once again, although the reading is possible, it is by no means the only way of interpreting the verse. The same may be said of the passage from the Gospel according to Saint Luke where Roman-Catholic interpreters take “Full of Grace” to mean “conceived without original sin.” All three of these passages might be read to support the doctrine of the Immaculate Conception or they might be read otherwise. Scriptural evidence is, in short, non-conclusive. Arguments from the Church Fathers are abundant but not entirely persuasive. Similarly, the arguments from reason are not entirely conclusive. The primary argument from reason suggest that if God had the power to preserve His mother from sin, and it was fitting that He do so, then clearly He would do it. After all, they assert, if you could preserve your mother from all corruption, wouldn’t you do it? The history of the doctrine becomes far more intriguing in 1858, when a young French girl reported seeing a woman while gathering firewood. The girl would have around seventeen separate encounters with the woman whom, two years later, the Roman-Catholic bishops would officially declare was, in fact, an Apparition of the Blessed Virgin Mary. 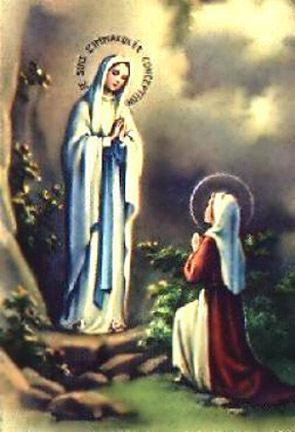 Of significance to this issue is that on one of their encounters, the Blessed Virgin Mary declared “I am the Immaculate Conception.” Were it truly is the case that the Blessed Virgin Mary appeared to St. Bernadette at Lourdes, that would seem to settle it. After all, if the Blessed Virgin Mary herself says, “I was conceived immaculately,” who are we to argue? It seems as though the issue of how we should address the Conception of the Blessed Virgin Mary depends largely on how much credence one may place on private revelation. Did Bernadette really see the Blessed Virgin Mary? Did the Blessed Virgin Mary really say, “I am the Immaculate Conception”? If we cannot base doctrine on the Apocrypha, can we base it on a private revelation? It may not be at the top of anyone’s lists of issue to tackle right now, and, perhaps, rightfully so. Whether or not the Virgin Mary was conceived with or without Original Sin is not an issue that impacts many of the lost who are seeking the Lord. Not many long-time Christians struggle with the state of Mary’s soul prior to her birth. In fact, only a select few theologians ever struggle with the issue. Nevertheless, as the Charismatic Episcopal Church continue to be a convergence movement and continues to grow into the fullness of the role Our Lord has called us to fill, at some point we will have to decide where we stand on the nature of Original Sin and the Immaculate Conception. Additionally, were her conception immaculate or otherwise, let us never minimize the incredible role that the Blessed Virgin Mary did play in the history of our redemption. Almighty God, who by the Immaculate Conception of the Virgin did make her a worthy habitation for Your Son and did by His foreseen death preserve her from all stain of sin: grant, we beseech You, that aided by her intercession, we may live in your presence without sin: We ask this through our Lord Jesus Christ, Your Son, who lives and reigns with You and the Holy Spirit, one God, forever and ever. Amen. With all of the holiday trappings rolling out earlier and earlier each year, it is refreshing to have at least one aspect of the “holiday season” that legitimately does come early. December sixth is the annual commemoration of one of the most beloved saints associated with Christmas, Saint Nicholas. Of course, St. Nicholas is probably one of the best known saints in all of Christianity. What child does not remember this legendary account of “Old St. Nick”? Those lines are taken from the poem commonly known as “The Night Before Christmas” which was originally titled “A Visit from St. Nicholas” and first published in 1823 by Clement Clarke Moore. One critic has gone so far as to assert that this poem is “arguably the best-known verses ever written in America.” This poem has defined St. Nicholas for the almost two hundred years since its publication and has shaped the modern conception of the festive figure. Unfortunately, it is almost entirely false. 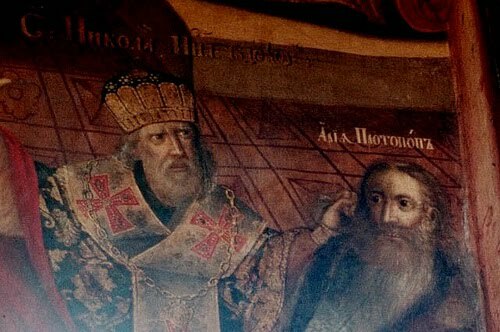 Unlike many saints who are more legend than history, St. Nicholas is a remarkably well-documented figure. Nicholas was born around 270AD in the city of Patara in Asia Minor or what would today be called Turkey. His Christian parents died while he was still and he was raised by his uncle who continued his Christian upbringing. 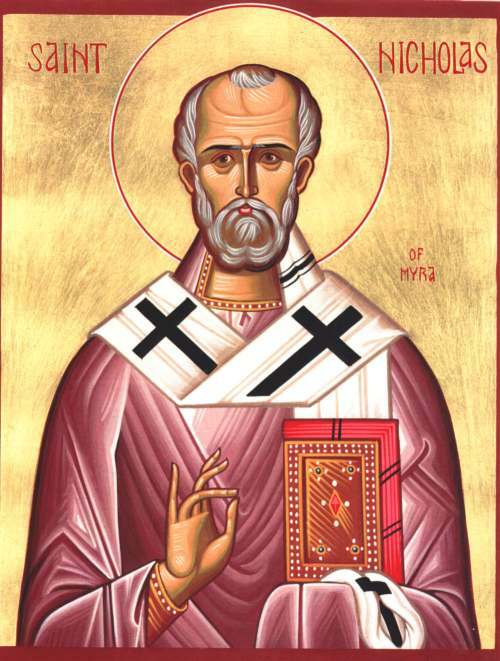 By 330AD Nicholas had been consecrated as the bishop of the city of Myra in Asia Minor. Legends regarding the saint abound. One of the most famous legends centers around a poor single father with three daughters. Having no dowry for his daughters, the father was unable to secure a marriage for his children. At that time, this would have meant a life of poverty and most likely prostitution or slavery. Knowing the father’s plight, St. Nicholas came by night and, heeding our Lord’s directions to “not let your left hand know what your right hand is doing,” (St. Matthew 6:3) anonymously dropped three bags of gold into the father’s home. The most likely account tells that the money was dropped into the stockings of the three daughters which had been hung out by the window to dry. This began the tradition of St. Nicholas being a great giver of gifts. In 325AD, one of the most momentous events in the history of the Church took place. The newly converted Emperor Constantine was greatly distressed at the division in the Church caused by the Heretic Arius. In order to deal with crisis, the Emperor summoned all of the bishops in the entire Church to gather together in the town of Nicaea to settle the matter. Being a bishop at the time of the council and being especially close to the city, St. Nicholas eagerly attended the convocation hoping to end the division in the Church. During one of the meetings, the heretic Arius was called to stand before the convened council and present a defense of his position. During his address, Arius continued to assert that Jesus was not God, not divine, not part of the Holy Trinity, and was just a creature created by God like everyone else. St. Nicholas was so overcome with anger at the assault on the dignity of his Lord which he was being forced to endure that finally he could stand it no more. The saint stood up, approached the heretic Arius, and punched him right in the face! Yes, it is true. The “jolly old elf” decked a heretic at a council of bishop! Not surprisingly, no one responded well to some old man hauling off and starting a brawl at such a dignified convention. The other bishops stripped Nicholas of his episcopal regalia and threw him in prison since this was, after all, an imperial council. According to the legends, Nicholas had a vision of Our Lord and His Blessed Mother that night. Jesus presented St. Nicholas with the Scriptures and the Blessed Virgin Mary dressed the saint in his bishop’s robes once again. When the jailer came to check on Nicholas in the morning, he found the saint sitting quietly in all of his episcopal regalia quietly reading the Gospel. Upon hearing this miracle, the Emperor Constantine ordered Nicholas released and reinstated. Later on, during the long and tedious proceedings of the Council of Nicaea, St. Nicholas, as one might expect from a gentleman practically in his seventies, dozed off during one of the sessions. While he was asleep, the Lord granted Nicholas a vision of a ship in great distress in a terrible storm. St. Nicholas raised his hands in intercession and prayer for the sailors and the Lord calmed the storm once more sparing the distressed sailors. When Nicholas awoke, one of his younger colleagues, observing the saint awakening, joked with the old man saying, “So much has happened while you slept. We have missed you, our brother.” The saint replied, “Yes, indeed. A ship has been saved and many sailors rescued.” Of course, not knowing what had transpired in the saint’s vision, the younger bishop assumed that Nicholas spoke of the Church and her believers. 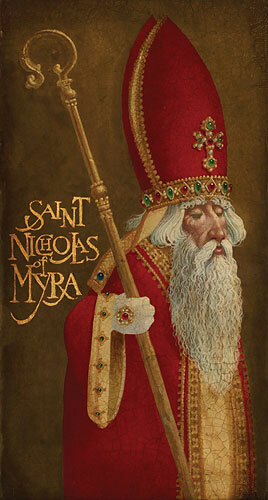 Based on this legend, St. Nicholas became a patron of sailors as well as children and orphans. As the years went by and legends of St. Nicholas spread from one region to the next, Saint Nicholas became the Dutch Sinter Klaas and, ultimately, Santa Claus. Millions of children receive gifts from “Santa” each year and dozens of movies have been made featuring a white-haired overweight old man who bears little or no resemblance to a true hero of the faith. I encourage everyone to visit The St. Nicholas Center this week and look for ways to celebrate the feast of this incredible saint. Every St. Nicholas day my children awake to find a small gift in our fireplace. Usually it is a toy manger scene or some other religious toy like a Noah’s Ark. We will put in the “VegieTales: St. Nicholas: a story of Joyful Giving” DVD and watch it repeatedly during the day. God willing, in years to come, my children will smile knowingly when they see the jolly old elf in the red suit with white fur. They will know that he was a man who dedicated his life to serving Jesus Christ and caring for the poor and underprivileged. They will also know that the one thing he could never tolerate was the Lord being defamed by those who claimed to represent Him. May we take the true saint as an model for our own life and follow the example which he has already set for us. Almighty God, who in your love gave to your servant Nicholas of Myra a perpetual name for deeds of kindness on land and sea: Grant, we pray, that your Church may never cease to work for the happiness of children, the safety of sailors, the relief of the poor, and the help of those tossed by tempests of doubt or grief; through Jesus Christ our Lord, who lives and reigns with you and the Holy Spirit, one God, forever and ever. Amen.